Zoulas said that when she first started at the clinic, about 90 percent of her patients were free-roaming cats. 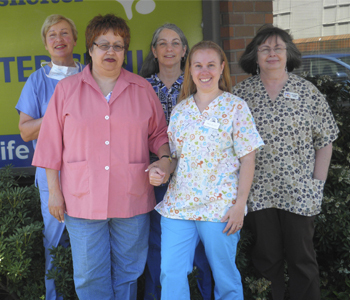 Today, of the clinic’s approximately 2,500 patients per year, about half are dogs, with the remainder rabbits and cats. 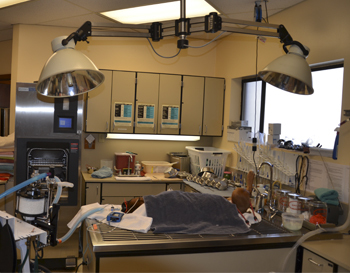 Furthermore, those thousands of surgeries per year are carefully orchestrated by Zoulas’ efficient team of three veterinary technicians and a very busy clinic receptionist. Zoulas said the the clinic has a good relationship with the Rabbit Meadows Sanctuary & Adoption Center (www.rabbitmeadows.org )in Kenmore, Wash., to encourage people to spay or neuter their rabbits. The group also assists rabbit owners by loaning carriers to bring their rabbits to the clinic for surgery. Zoulas and her team spays or neuters about three rabbits a day. CHRISTIE LAGALLY is a writer and the editor of Living Humane (livinghumane.com). To comment on this column, write to QAMagNews@nwlink.com.